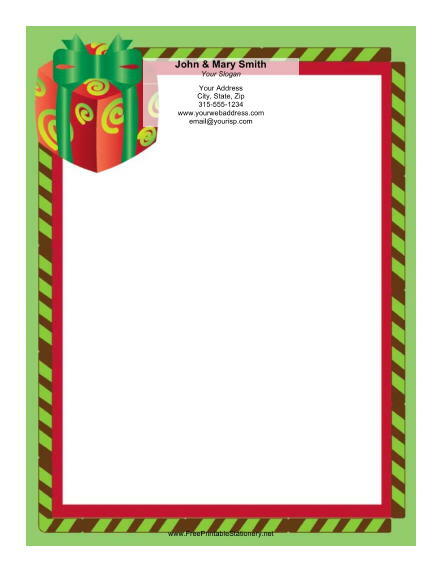 A large colorfully wrapped gift is surrounded by a red and green border on this holiday stationery. Peppermint striped bars are subtly hidden on the edges of the border. Any of your holiday letters will be more special when presented on this cheerful Christmas paper.